Scuba Professionals of Arizona has some of the most experienced staff members and instructors ready to teach you a new class or take you snorkeling or scuba diving! 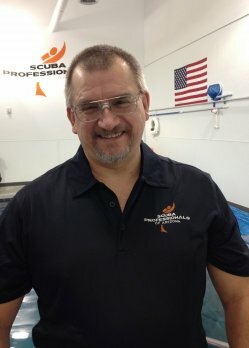 Co-owner and General Manager, Paul Wagenseller, brings over 30 years of experience in the Arizona Diving Industry to Scuba Professionals of Arizona! 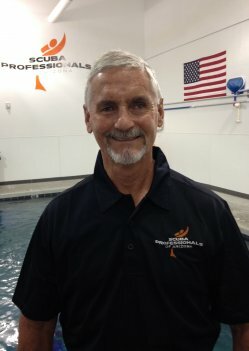 The AZ scuba industry has been changing over the years and it’s always been Paul’s mission to keep up with the changes. 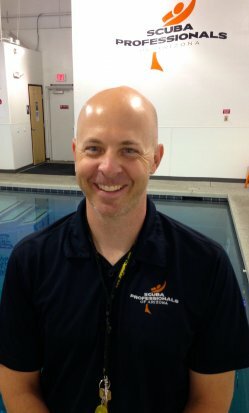 While managing Scuba Professionals of Arizona, this dream is becoming a reality! 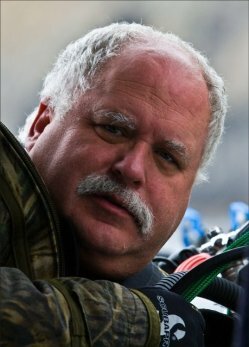 Paul is a qualified Scuba Instructor and exceptionally experienced in teaching safe scuba courses including beginning, Advanced / Expert, SafeAir Nitrox, Rebreathers, Technical and Instructor Courses. Paul has been awarded as a Platinum Pro Diver with over 12,000 dives and he is also a Platinum Pro Instructor having certified over 10,000 students! 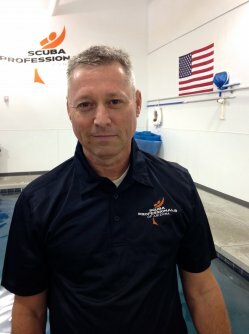 Paul created one of the largest Dive Master Programs in the U.S.! Paul organized well over 1,100 safe dive trips and vacations from local Arizona lakes to the soft coral capital of the world – Fiji! 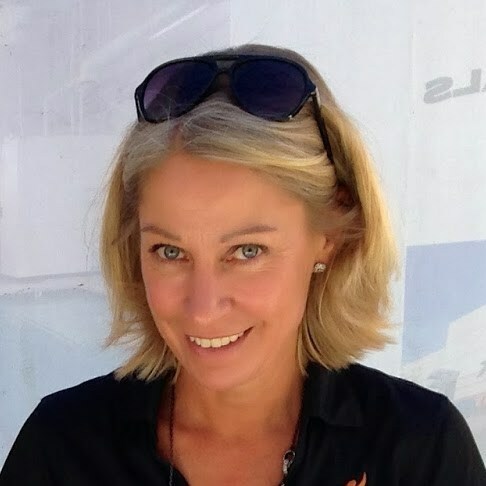 Co-owner and President, Fia Lindberg, has a Masters of Laws from Stockholm University and has extensive experience from starting, managing and developing companies and organizations. Fia is responsible for Scuba Professionals of Arizona´s Marketing and PR, business development and business relations. Fia is a keen scuba diver and is a Dive Control Specialist / Assistant Instructor. She has dove in exotic places such as Oman, Dubai, Egypt, Bali, Thailand, Hawaii and the Caribbean. Fia is a Swedish citizen who fell in love with Arizona many years ago when she came as an Exchange student. She’s been living in the Phoenix Valley for nine years. 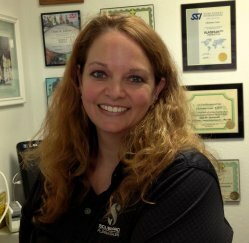 Store Manager, Tina Lowe, brings nearly 20 years of dedicated experience to Scuba Professionals of Arizona, including teaching scuba courses and managing dive centers. Tina is a qualified Scuba Instructor and very experienced in teaching safe scuba courses including beginning, Advanced / Expert, SafeAir Nitrox, Dive Master, Instructor Training, and is specially trained to work with children in our Scuba Rangers program (children ages 8-12). Tina has escorted scuba diving adventures to many locations around the world including Belize, Roatan (Honduras), Turks & Caicos, Fiji, Yap (Micronesia), Cozumel and San Carlos (Mexico) and many other destinations. Michelle first tried scuba back in 2000 when she was on a cruise ship and knew it was something she wanted to do again. Michelle feels every dive is a great adventure with something new to explore and learn. As an Open Water Instructor, Michelle now gets to show people how fun and beautiful it is underwater – – whether it’s the ocean, a lake or a river. When Michelle isn’t scuba diving, she loves watching her boys race motocross and spend time with her family, preferably outdoors. Dave’s lifelong dream to start scuba diving became a reality back in 1993. The feeling of being weightless and the underwater beauty are the main reasons Dave wants to go scuba diving all the time. His favorite scuba destination is Catalina Island in California. His dream destination is the Great Barrier Reef in Australia. Travis is one of our fantastic Open Water Instructors. He loves teaching scuba and his students loves being taught by him. When Travis isn’t scuba diving, he teaches high school kids in a near by school. Or look up in the sky and you might see him flying by – yes he’s a pilot too! Rollie first started scuba back in 2000 and got certified on his 30th birthday! We say – What a cool birthday present!? The peace of the underwater world is what Rollie enjoys most. He’s excited about getting to share this fantastic sport with many others. Rollie’s favorite scuba destination is his next one, and when he’s not underwater, he’s over the Arizona desert piloting a hot air balloon. When Ron isn’t fighting fire, he’s in the water. 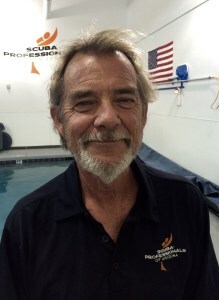 Ron got scuba certified in 2012 with Scuba Professionals of Arizona. He immediately became passionate about the sport and decided to continue his scuba adventure. 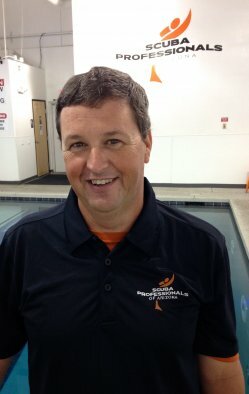 By teaching scuba, Ron hopes to share the joy he has for scuba diving with others. His dream scuba destination is to dive the Great Barrier Reef, but as long as he can scuba dive, he’s open to any destination. Mike is our “go to” guy who helps us with most everything around the store – – from clean-ups to repairs. Mike is also a certified Expert diver and loves everything about the underwater world! His favorite scuba destinations include Catalina Island and Florida Keys, but since the world of scuba diving is endless, Mike is up for exploring any destination around the globe. Bob’s inspiration to become a scuba diver came from the James Bond movies. In 1991 he took after Agent 007 and certified as a scuba diver. Being naturally buoyant, almost as an astronaut, is one of the reasons Bob loves to scuba dive. Another reason is the underwater life with all its beauty. 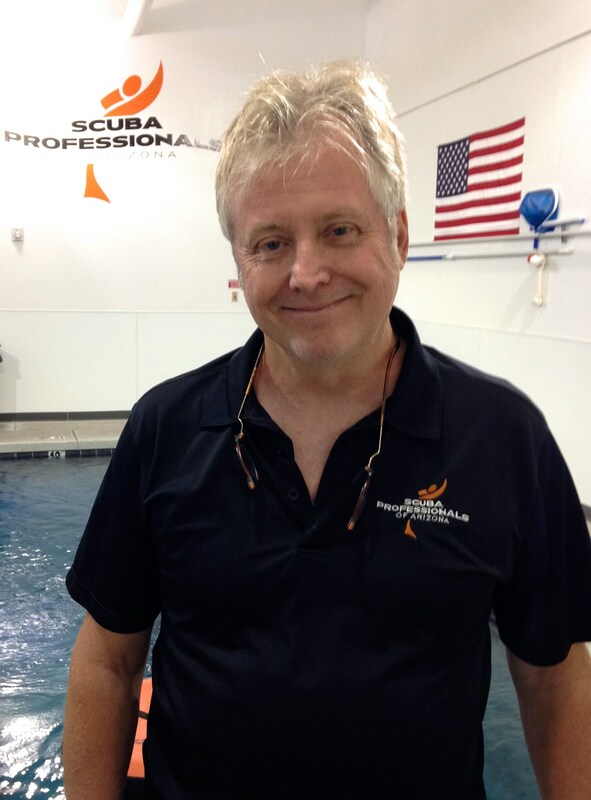 Bob loves to teach scuba and see his students’ eyes light up as they master a new skill. The ultimate scuba destination of Bob’s dreams is Truk Lagoon. The TV show “Sea Hunt” inspired Marc to start scuba diving in 1986. 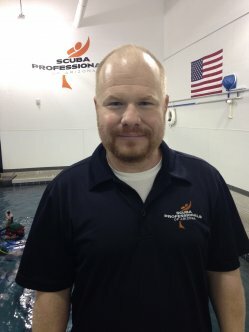 He likes sharing with his students his love for scuba and enjoys getting to explore the underwater world with them. Among Marc’s favorite dive destinations are the wreck of the Salvatierra outside LaPaz and the kelp off San Clemente Island. Dream destinations are Fiji and Bora Bora. 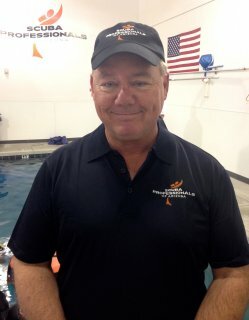 In 1982 John became certified to scuba dive while stationed in Hawaii with the U.S. Marine Corps.For John, scuba diving is all about technical diving which he is looking forward to teaching. His favorite dive destination is Cenote Angelita in Mexico with its inlands and world-famous caves. John’s dream dive destination is the Marshall Islands with its fascinating World War II wrecks. He would also like to dive the Andrea Doria which is considered the Mount Everest of diving with its deep water and currents. 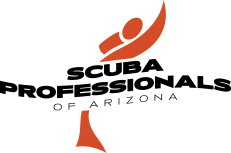 For Phoenix scuba dive lessons, contact us NOW at 602-314-6650!